Bill Murray's previous appearance in a Zombie movie may be the single best cameo, ever. If you were recently caught off-guard with the quickie press release that Bill Murray will return to the Zombie genre with the upcoming movie, The Dead Don’t Die, then you weren’t the only one. In fact, very few people had any previous information about the film, which will get released in a couple of months from now… and even fewer people currently know much more about it after the news was broken. Classified as a horror comedy written and directed by Jim Jarmusch for Focus Features, Dead will open on June 14th. Joshua Astrachan and Carter Logan will produce the movie and Focus Features and Universal Pictures International will distribute the film worldwide. The storyline has been kept under lock and key, but apparently the film will star Bill Murray, along with Adam Driver, Tilda Swinton, Chloë Sevigny, Steve Buscemi, Danny Glover, Caleb Landry Jones, Rosie Perez, Iggy Pop, Sara Driver, RZA, Selena Gomez, Carol Kane and Tom Waits. That’s a huge list of stars who have all surprisingly stayed silent so far about the project, which is unheard of in this day and age. This isn’t the first genre rodeo for Murray and Jarmusch. 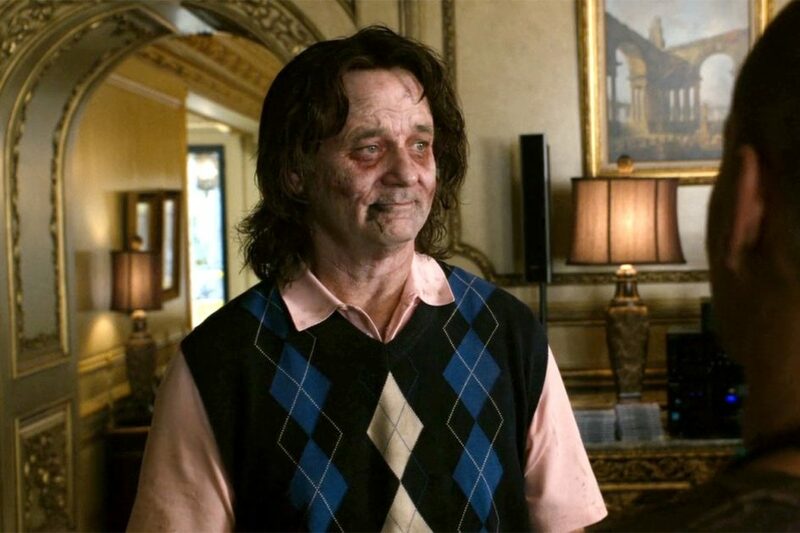 Previously, Jarmusch’s film Only Lovers Left Alive touched upon the undead genre, while Murray practically stole the show in a quick cameo for Zombieland. In fact, the role was so genius, it may be the best cameo EVER for a Zombie movie. Word on the street is that Murray may return in some capacity for the upcoming Zombieland sequel, which is currently filming. That alone excites us very much to see the upcoming film. Jarmusch and Murray previously worked together on Coffee and Cigarettes and Broken Flowers. Initially shocked by the news, I’m very intrigued with the prospects of this movie. While Jarmusch isn’t known for filming big-budget blockbusters but art-house fare, this one seems to have been filmed with a low-to-moderate budget and his box-office prospects could be phenomenal. His past credits include Stranger Than Paradise, Dead Man and Ghost Dog: The Way of the Samurai. Billed as “the greatest Zombie cast disassembled,” what is known is that Murray won’t portray the undead. Even more intriguing is the diverse cast, many of whom will be diving headfirst into the genre. Character actors, musicians and friends of the filmmaker seemingly make up this group, who I’m guessing will be relied upon to help promote the film, big time. A marketing campaign would seemingly be the next step for Focus Features, but it’s just as likely the production studio will be pretty low-key about the release. It’s really unknown what to expect, at this point. The Dead Don’t Die will be released in the heart of the summer blockbuster season, which also seems odd for a movie with a smaller budget. June might be rough time frame for box-office returns, as Godzilla: King of the Monsters and the X-Men movie, Dark Phoenix will still be in theaters, while Dead will premiere on the same weekend that Shaft and Men in Black: International are released. Granted, they are all different types of genres, but the film will be seeking crossover audiences. One way or another, hopefully audiences will give the film a chance.